Bo Xilai has a reputation as a rising political rock star. But do his ‘Red Culture’ policies in Chongqing really offer a viable model for China? As China’s 2012 power transition approaches, politicians and academics are racing to find the theme that will define the country’s direction for the next eight years. The inclinations of Xi Jinping, heir apparent to the presidency, are still unclear, but his recent visit to Chongqing suggests that he’s taking a particular interest in the ‘Red Culture’ policies of municipal Party Secretary Bo Xilai. 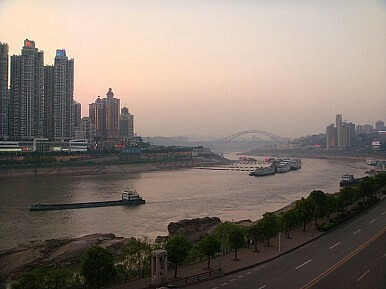 Bo is the highest-ranking Party member of the Chongqing Municipal area, an administrative zone four times the size of the US state size of New Jersey. It embraces acity of 10 million, as well as a vast rural hinterland that contains more than 1,200 towns and villages. Over the past few years, Bo has made himself the centre of media attention with eye-catching initiatives such as a ‘red song’ campaign and a ban on advertisements on local TV. But the significance of Chongqing runs much deeper than socialist gimmicks—Bo has tried to rewrite the social contract of Chongqing with an attack on economic inequality, an expansion of the state role in the economy, and political moves taken straight from Mao Zedong’s playbook. People often say that politics in China have stood still while the economy has raced ahead. But the placid surface of single-party rule conceals vigorous debate within the Communist Party over China’s future. Policy experimentation at the local level provides fodder for arguments that will determine the shape of Chinese socialism during the next administration and beyond. The approach of the 2012 handover has spurred risings stars like Bo, a Politburo member and likely candidate for promotion to the top-rung Politburo Standing Committee, to jockey for top leaders’ attention with striking new policies. This conversation doesn’t always move in liberal directions. China’s ‘New Left’ has seized upon Bo’s ideas to argue for a radical shift away from the market-oriented policies of the Reform and Opening period, citing Chongqing as proof that China can combine growth with economic equality in a vision of socialism that looks to a more statist past. New Left proponents argue that Chongqing’s experience is the beginning of a path for China that will break radically with capitalist reforms begun by Deng Xiaoping.They hope to restore the state as the centre of China’s economic system with a focus on poverty reduction and to revive Maoist political techniques. In doing so, they claim to have a blueprint for a new era in China’s history. Yet leading members of China’s New Left are beginning to look beyond the theme that has defined Chinese politics for the last 30 years. Wang Shaoguang, a mainland-born professor of political science at the Chinese University of Hong Kong, has labelled this new period ‘Socialism 3.0’ in an unpublished article focusing on Chongqing, casting it as the successor Mao’s radical egalitarianism and Deng’s reform and opening. Controversial Peking University political scientist Pan Wei, for his part, describes Chongqing as proof that China is moving into a ‘post-reform and opening era,’ returning to the traditional socialist focus on equality. Arguing that the growth-centred policies of recent decades have created an unacceptable gap between rich and poor, he says the time has come for a radical rethinking of Chinese politics—but he isn’t sure the time has come to say so publicly. Yes, the CCP faces challenges, but it is stronger than you think.